When placed correctly, a splash of unexpected color can drastically improve your presentation. 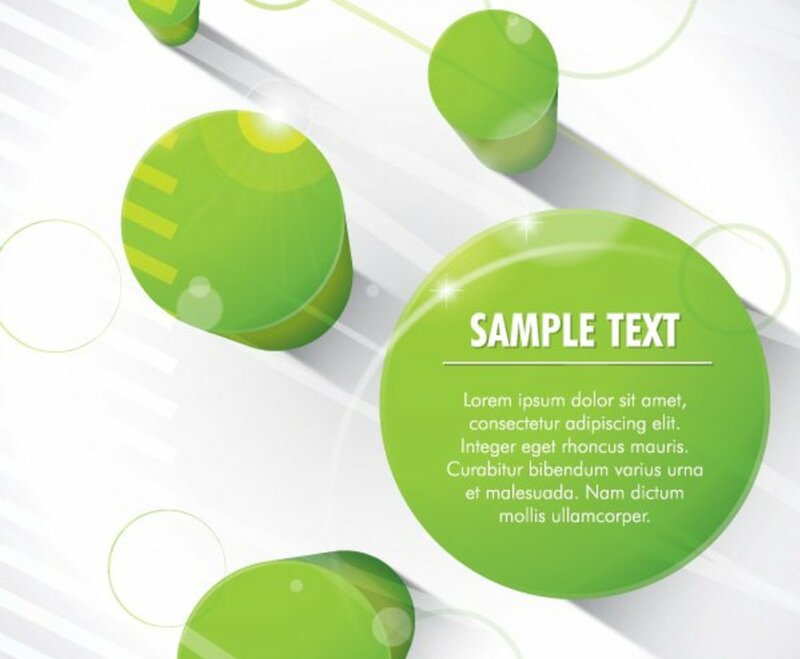 This graphic uses a vivid shade of green to direct the viewer toward your message. A top-down perspective reveals a number of green columns leading off into the distance. The white background is decorated with thin green circles and soft shadowy bands. A clear light source reflects off the surface of the columns, creating a series of auras over the scene. The nearest column’s flat roof acts as a focal point, and the sample text stands out nicely in a bold white font.